Telford Park won the 2015 Millennium Cup, defeating Grafton in the final held on Sunday 13 September, 8-1, and taking the trophy for the sixth time in the competition’s fifteen-year history. The final was hosted by Grafton. Following the playing of the last two ties in the league of the 2015 competition on Sunday 14 June the Points Standings were complete and the finalists determined – Telford Park against Grafton. Telford Park was pretty well assured of topping the leader board in 2015 but theoretically could have over the overtaken by a whitewash Grafton result which, against Wigmore, was unlikely to happen. With 24 points to its credit, Telford Park held two points clear of Grafton’s 22, while Wigmore had to await the result of the other tie to see if it would claim third place. They were to be disappointed as Norbury Park garnered a total of 18 points, two clear of Wigmore, leaving Woodfield Grove at the bottom of the table with just 8 points from its four outings. The Millennium Cup was celebrating fifteen years of competition, which was hard to believe, and arrangements were made for a special event called the Millennium Cup Masters on 1 August. Four clubs took part (Wigmore was unable to field a team) and Woodfield Grove emerged the victors. In celebration of the 15 years of the Millennium Cup Competition, a Fast4 (short format) league competition is to be played over one day on Saturday 1 August, between the 5 Millennium Cup participant teams, from 10.30am until 6.30pm, hosted by Telford Park Lawn Tennis Club, after which prizes will be presented to the winners. 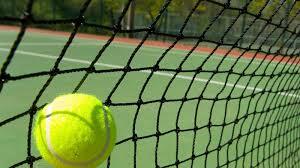 This is a quick-fire, fast, fun day of tennis with a highly competitive edge! The aim is to win as many games as possible and the team accumulating the most games won at the end of the day will win prizes. A barbecue will run alongside from 2pm onwards to which all Millennium Cup participants, past and present, are invited to attend, as well as participant club members. The criteria for players entering the Masters will be the same as for the Millennium Cup competition under the standard of play criteria.